discussion | Who Said Life Wasn't Complicated? 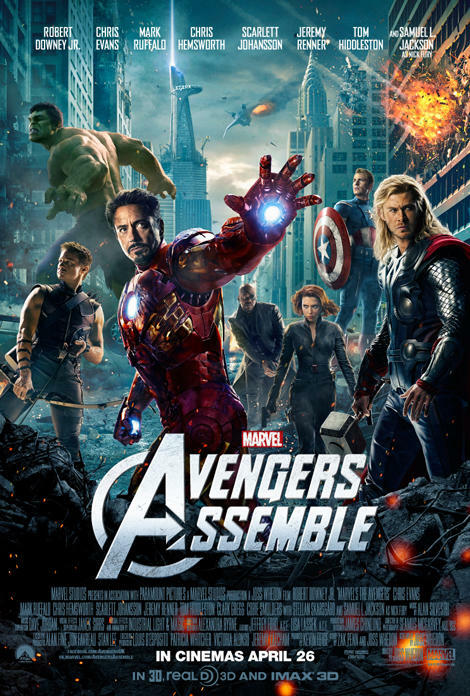 I loved ‘the avengers” film. And I’ve been thinking over it the last few weeks, trying to figure out what kind of discussion would be beneficial to have around some of its central themes. I hope this will be the first of several posts looking at those different themes. Just before the final battle takes place in New York, Bruce Banner shows up to aid the other avengers. He is asked how he can be trusted? How he will be able to control himself when he is angry? He replies: “I’m always angry“. What Banner has been able to achieve is to control the hulk. He has managed to focus his anger so that it can be used for good. He is no longer the raging, uncontrollable machine. He has a purpose. We all get angry. We all have things that push our buttons and make us angry. We see things that are unjust and they make us angry. But if that anger is not harnessed and controlled it can lead to all sorts of damaging results. It may cause us to lash out or hurt people. In the case of the riots last year, our anger may lead us on to the streets. It’s okay to get angry. Jesus got angry. God gets angry. Its what we do with that anger that we should be concerned about. What makes you angry? What makes your young people angry? How can that anger be harnessed to bring about positive change? 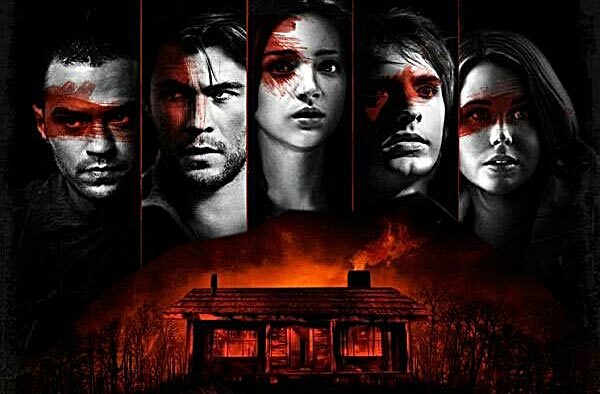 This is now my fourth post dissecting the film, “Cabin in the Woods“. You can read the others here, here and here. For a film I rated three stars, it really has taken up a lot of my time. And I always knew that would be the case. What the film tries to do is be a dissertation on horror movies whilst still being a horror movie itself. I think Joss Whedon (co-writer) and Drew Goddard (co-writer/director) do an amiable job and I praise them for taking a shot at something really different but like a dissertation paper, it all feels a little too academic. In my previous posts I discussed the connection between the film and the concept of the atonement and its connection with ‘the hunger games’. In this post I wish to discuss the film and its connect with the theology of ‘thin places’. Like all the previous posts, this will contain SPOILERS. A thin place is where the veil that separates heaven and earth is lifted and one is able to receive a glimpse of the glory of God. There are numerous accounts in the Old Testament where Heaven seems to invade earth. One of the most famous is when Moses encounters God in a bush in Exodus chapter 3. In the Jewish tradition, Moses built a tabernacle that claimed to hold the very presence of God. Later, King Solomon built a Temple (a large scale tabernacle) where it was believed that, in the very centre of the temple (the holy of holies), Heaven invaded earth. The Priest could enter through the curtain and come face to face with the living God. When Jesus was crucified, the gospels record that the curtain was torn in two as a sign that Heaven has now broken out on earth. I believe that the mythology of “Cabin in the Woods” also includes this concept. The cabin is the ‘thin place’ where the physical world and the spiritual world collide. It is where the doors open and the creatures and beasts of the spiritual world are unleashed into the physical world. The film conveys that there are ‘thin places’ all over the world where these two worlds collide. In the film, only ‘Marty’ realises that the cabin is a ‘thin place’. The rest are oblivious. I believe that in our own lives, we can be so focused on the day to day things that we miss the thin places in our lives. Jesus talk his disciples to pray “Your Kingdom come, Your will be done on earth as it is in Heaven”. In that simple prayer, he was showing the disciples that they need to take their eyes off of their lives and open themselves up to the bigger picture. It’s the same with us. If we focus all our attention on our own lives then we miss out on what God is doing, and in some way prevent the Kingdom of Heaven from expanding. There are times when instead of advancing the Kingdom of Heaven, through our words and actions we actually advance the dominion of Hell. When we lie, cheat, steal, horde and oppress, we force the Kingdom of Heaven to retreat. Here are some questions to explore with the young people you work with who have seen the film? 1) Have you ever encountered a ‘thin place’ where there seemed to be more going on that what you could see? Where things felt differently? 2) What stops you encountering these places more often? 3) What can we do practically to see the Kingdom of Heaven spread wider? The Daniel Radcliffe starring, Hammer Horror film ” The Woman in Black” is a brilliant gothic horror story and one that has found mass appeal because of the “Harry Potter’ effect. I want to pick up on a couple of the themes of the film that may be worth exploring with the young people you work with (if they’ve seen it). As always I would suggest using the reel faith template of questions when creating a discussion. These two themes run throughout the film and can make for a very lively discussion. After learning that the woman in black is killing children because she is still angry about the death of her son, Kipps takes matters into his own hands and believes that if he can reunite the mother and child then the mother will finally be able to rest. She will be able to find peace and the horror will end. He finds the body of her son in the marsh and carries him back to the house. The woman in back turns up to reclaim him and Kipp believes that peace has been found. But things are not that simple. We hear the ghostly voice of the woman say “I will never forgive” and in the climax of the film, she leads Kipps son on to the railway tracks as an oncoming train approaches. Kipps runs to save him and both are killed. The woman in black is driven by vengeance and a twisted view of justice. Because her child was taken from her, she believes that every child should be taken away. She believes that every parent should feel the same pain that she did. It was her lack of forgiveness that killed her and it is that unforgiveness that will torment the village for eternity. Anger is a serious thing. Unforgiveness is a serious thing. What does it take to forgive someone? Are there people that we are unwilling to forgive? The woman in black sought vengeance and anger and she found it. It destroyed her life and the countless other lives of the villagers. What motivates us and leads our lives? Is it anger? A thirst for revenge? Is there another way? Does Jesus offer something different? Half way through the film, Daily (played by Ciaran Hinds) says to Arthur Kipps (Randliffe), “if we open the door to superstition, where does that lead?” Daily plays the rational character of the story. He is well aware that many of his neighbours have said they have seen the ‘woman in black’ and in fact his own wife has been driven insane by her but he chooses not to believe it. The world is a rational place and everything can be explained. He urges Kipps not to pursue this line of enquiry as who knows where it will lead. I find this whole idea fascinating. Both characters, Daily and Kipps have a specific worldview. They filter everything they see and hear through those particular lenses. Daily rationalises the occurrences away as nothing more than brain trickery. Kipps sees the same things but chooses to believe that the woman in black is real and both of those worldviews have particular consequences. For Daily, it results in him not getting the right care for his wife and ignoring her ‘eccentric’ actions. Their marriage is damaged as a result. For Kipps, it ultimately results in the death of both his son and him. Whatever we seek, we will find. I believe that to be true. If we choose to see the world through a particular lens, then we will filter everything through that lens and it will be a self fulfilling prophecy. There is nothing inherently wrong with that but what is vital is that each of us are aware of the lenses that we wear and that others may not have the same ones. What lenses do your young people wear? How do they believe the world works? How do you work with people who have a different worldview than yours? Yesterday I wrote about one way of using film with your youth group. read it here. Today I want to offer another option. In all the youth work books that I have read that offer film clip discussions, I have never seen any offer character studies. By that I mean looking at a specific character in a film and discussing their journey through it. In many films, characters have an arc that they go through. They start at one place in the beginning and end up somewhere else by the end. It may be that their beliefs have changed or they achieved something but in most cases, a change happens. An interesting way of using film with your youth group (or church) would be to start this change over a number of weeks and look at the decisions the character is making. You could show the film in the first week of the month (similar to the structure of my last post) and then over the course of the rest of the month, chart the progression of the character or simply look at their worldview concerning different issues. This could result in a rewarding study that helps young people appreciate the characters in film and discuss whether they would make the same decisions if they were in their shoes. I’ve put an example below of the George Clooney movie, “The Descendants“. Week 2: What kind of person is the character at the start of the movie? What are his relationships like? Week 4: What kind of person is the character at the end of the movie? What has changed? ‘Dream Home’ follows the story of Cheng Li-sheung as she looks to finally invest in her dream home. A home that she has wanted since she was a little girl. A home that she promised to her gran and papa. A home that will make everything okay. We all know what happens with best laid plans though. The deal falls through as the sellers want more money. At her wits end, and her obsession with owning the flat pushed to breaking point, Li-sheung embarks on a horrific killing spree in order to bring the price of the flat down. When watching the film I was reminded of these words of Jesus: “What good is it for a man to gain the whole world, yet forfeit his soul”. There are a number of translations and interpretations of these words. What exactly does it mean to gain the world? What does it mean to forfeit/lose your soul/life? For me, to lose your soul/ life, means to lose what it means to be human. To become sub-human. To lose the essence of your humanity. Desmond Tutu once said; “We can be human only in fellowship, in community, in koinonia, in peace.” So when we distort that fellowship, when we break it down through the abuse or murder of other humans, we become less than human. If you can stomach it, Cheng Li-sheungs journey is the journey of losing her soul. For her, a possession becomes more important than the life of others: both strangers and family members. The potential flat holds so many hopes and dreams. She thinks it will be the answer to all her problems. And we can’t really blame her for thinking that. The culture around her has pushed this idea on to her. Now obviously what she does we cannot condone but we can understand how she gets to this place of desperation. And she gets what she wants. With the blood of eleven people on her hands: she gets what she wants. And in the final moments of the film, after moving into the flat, she hears on the radio of the economic meltdown and the housing collapse. It has all been futile. the flat she has just bought is now worth less than half what she paid for it. A satirical final moment in this modern day parable. What do we long to possess? What do we think will make our lives better? And what are we willing to do to get it? Where do these narratives and messages come from and how can we stand up against them? Pressing questions in the world we find ourselves in right now. I had the great opportunity to watch the film ‘Tucker and Dale VS Evil‘ on Netflix yesterday. It was a witty, sardonic and subversive love letter to the horror genre. The main crux of the film is that a group of college students mistake Tucker and Dale as two redneck killers. Through a series of misunderstandings, they believe that the hillbillies are trying to ‘off’ them. Who are the kinds of people we judge? And what do we judge them for? Is it their clothes, their background, their language, their behaviours? Let me say first that there’s nothing wrong with making judgements of people. The writers of the bible aren’t against it. This is probably the most famous verse on judging in the bible. But Jesus isn’t saying do not judge people. He’s saying that you should be careful if you do because God will judge you in the same way. We naturally make judgements about people but what is more important is what we do with those judgements. Do we use those judgements to exclude and marginalise people? Or do we make those judgements to include and help? I know we often relate this to asking and seeking God for things but I wonder if we can push it a little further and connect it with the idea of judging. In the film, the college students judge the two hillbillies incorrectly. They then view the hillbillies through their ‘judgement lens’ and see every action in the light of that judgement. When one of the college girls falls off into the water, hitting her head in the process, the hillbillies drag her out of the water and attempt to give her mouth to mouth. One of the college boys sees this and thinks that the hillbillies are eating her face. What the college students seek; they find. They believe these guys are killers and that’s exactly what they find. Their judgement comes back on them. I think that’s a great ‘truth’ in our world and one that we have to be very careful not to fall into the trap of. If we act on our judgements in negative ways then a door will be opened for us. And we will find what we sought. It just might not be a good thing. 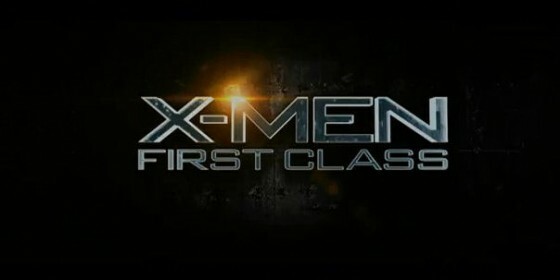 X-men: first class opened in cinemas yesterday. Not content with being a great multi-layered summer blockbuster, X-men (as all the films have been to an extent) is a film bursting with issues and ready made discussions. Over the next few weeks as I mull the film over, and probably go and see it again, I plan on writing some short thoughts on the film and how you could possibly explore it with your young people. 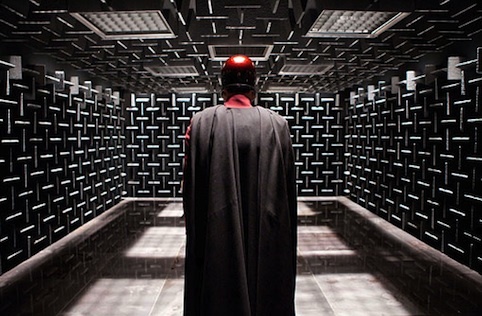 First up is the worldviews of the men who will become Professor X and Magneto. What I found fascinating is that neither of these men were painted as good or bad. That is not what the fight is about. It is about love and anger. Charles (Prof X chooses to love humans, Erik (Magneto) chooses to hate them. Erik isn’t an evil man. We understand how he gets to decisions. Just as we understand Charles’. Our own experiences determine what we will become. Charles is brought up in a wealthy home and allowed to see the good side of humanity. He has everything he could ever want. Erik and his family are Jewish. They are captured and sent to camps. Erik’s family are murdered at the hands of the Nazis. They are murdered by people who choose to label and catergorize people. Charles’ powers are born out of study and love. Eriks’ powers are born out of hate and anger. We are all capable of great love and great hate. 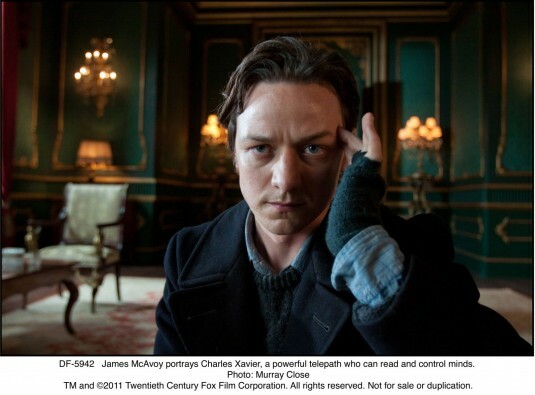 Charles had the potential to use his powers for ill just as Erik had the potential to use his powers for good. But their experiences determined the paths that they would choose. I do not believe that people are born good or evil. I believe that the story of Adam and Eve, at the beginning of the Bible, describes how all of us, made in the image of God, have the potential to go either way. What we listen to, who we surround ourselves with, which worldview we attach ourselves to determines what path we will choose. I think that’s an important lesson for the young people we work with to grasp. Just last night we were studying 1 John 1 with our older teenage house group where John talks about the reality of walking in darkness and walking in light. I explained to them that my worldview affects my actions. I choose to believe that no one is born evil. We spoke about the kinds of people that they label. The ones who are mean and nasty and do not deserve our attention. I stressed that those people are products of their environment. The scottish BBC documentary, ‘the scheme’ has gained all sorts of notoriety because it documents the lives of a group of working class people in an area of Kilmarnock (5 minutes from where I live). It shows warts and all what life is like for some people. But what I learned from the show is that it is extremely hard to break out of the world that we are born into. For Erik in X-men, because of how his powers were born, because of what he experienced, it was almost impossible for him change the course he was headed on. It paints the character in shades of grey, rather than black and white. And I think that is true of all of us. What do your young people think? Are there such things as good and bad people? As a Christian, I choose to believe that people’s paths can be changed. I choose to believe that people can be renewed. I believe that the labels that others put on us and that we put on others do not need to define us. They do not need to last forever. The book of Lamentations talks poetically about the fall of Israel. It compares the city to an adulteress. A new word has been spoken over Israel. “Virgin”. No longer a whore. The labels are no longer. Do some of our young people need to hear that? Whatever has been said about you, however you have been labelled. God has something new to say to you. We can be renewed. Erik’s path has been set. He has chosen the path of anger. The wide path that leads to destruction. The destruction of his humanity.